Occurrence of Rift Valley Fever (RVF) has often been linked with El Niño rainfall. To curb future outbreaks of RVF, M. Kariuki Njenga and colleagues carried out enhanced syndromic surveillance of 22 high-risk RVF Kenyan counties to collect data on RVF-associated syndromes and risk factors in livestock from November 2015 through February 2016. 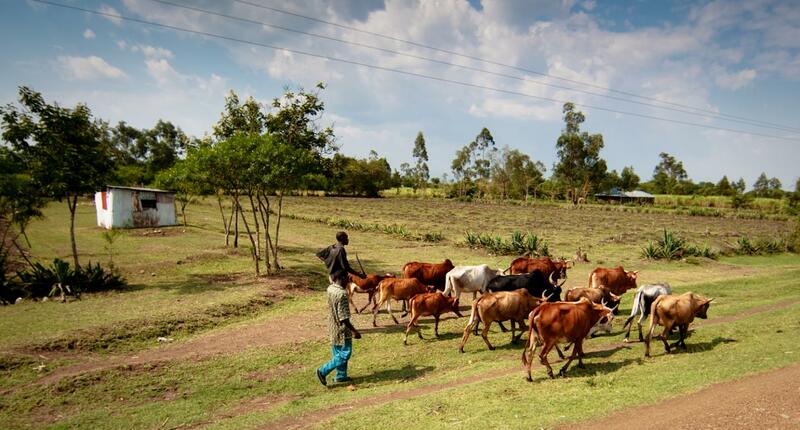 Their research, recently published in PLOS Neglected Tropical Diseases, could provide the first step toward establishing a national syndromic surveillance system for livestock in Kenya. All herds had reports of bleeding, abortions or death. Observers also reported 216 out of 362 livestock cases when mosquito swarms were observed, as compared to 211 reported cases when there was no flooding. The researchers identified 69 suspected RVF cases from 45 farms, and from this data 24 cases from 18 farms met the definition of a probable RVF herd. This pilot, though focused on a select number of farmers during the light rainfall season, showed that the number of reports of abortions and hemorrhagic disease were highest in the months that reported the highest rainfall. In your coverage please use this URL to provide access to the freely available article in PLOS Neglected Tropical Diseases: http://journals.plos.org/plosntds/article?id=10.1371/journal.pntd.0006353? CITATION: Oyas H, Holmstrom L, Kemunto NP, Muturi M, Mwatondo A, et al. (2018) Enhanced surveillance for Rift Valley Fever in livestock during El Niño rains and threat of RVF outbreak, Kenya, 2015-2016. PLOS Neglected Tropical Diseases 12(4): e0006353. https://doi.org/10.1371/journal.pntd.0006353? FUNDING: This work was funded by the United States' Centers for Disease Control and Prevention (CDC) Global Health Security Agenda cooperative agreement # NU2GGH001717. The funders had no role in study design, data collection and analysis, decision to publish, or preparation of the manuscript.